Blog Archives | Piping Technology & Products, Inc. Piping Technology & Products, Inc. custom designed this structural support with Bronzphite® slide plates for an exhaust duct application at a fossil fuel-fired power plant in Louisiana. The Bronzphite measures 1/2” x 5/18” and it was attached to a stand that was manufactured in carbon steel with a galvanized finish. The assembly is designed for an operating temperature of 730°F, and an operating load up to 2,000 lb. Also, designed with a hydro-test load of 3,500 lb. Standard visual and dimensional tests were performed prior to shipment. 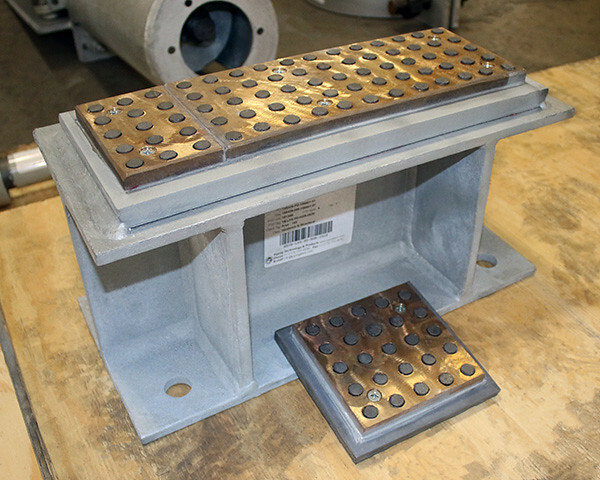 PT&P fabricated 323 FRP wear pads for an oil refinery in Texas. The wear pads are for pipe sizes of 2″, 3″, 4″, 6″, 10″, 12″, and 16″, and vary in lengths of 4″, 6″, 10″, and 12″. 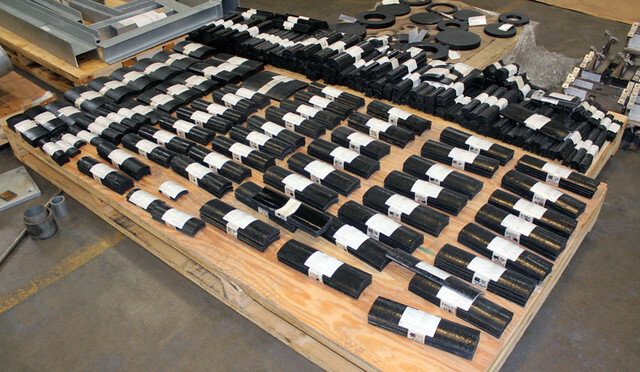 They were fabricated from vinyl resins, and are designed for operating temperatures up to 400°F. The FRP pads are secured to the pipe using an epoxy adhesive to protect the uninsulated pipe from the metal support structure. Standard visual and dimensional tests were performed prior to shipment. Meet the presenters of PT&P’s Online Courses. Click on each video to learn about each course’s objectives, course outline, course module content, and grading breakdown.